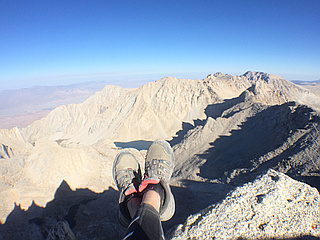 Mount Muir lies in the Sierra Nevada of California less than a mile south of Mount Whitney. One of the 14 California 14ers. Named for John Muir, founder of the Sierra Club, notable California geologist, and American conservationist. 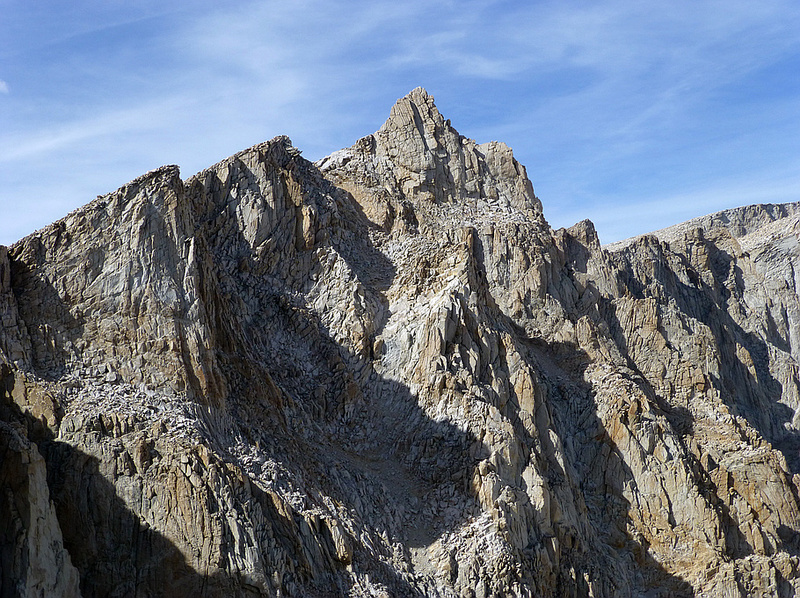 The southernmost section of the John Muir Trail contours along the west side of Mount Muir near its summit and ends on the summit of Mount Whitney. 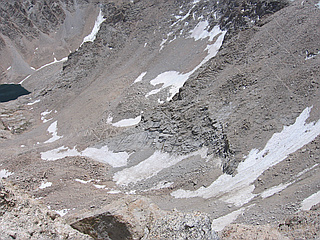 Mount Muir can be climbed on its west side from the John Muir Trail. Involves a short stretch of difficult scrambling up the steep, boulder-strewn slopes to the summit block (Class 3). 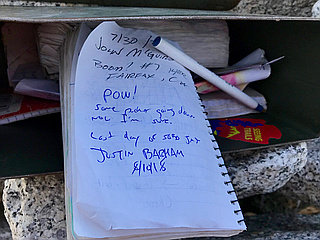 Easiest access to the summit of Mount Muir is by hiking the Mount Whitney Trail, which passes very close to the summit of Mount Muir after joining with the much longer John Muir Trail. The east side of Mount Muir is a spectacular near-vertical cliff about 1,400 ft high. The first route on this side (the north side of the east buttress) is Class 4. The south side of the east buttress is also a Class 4 climb.